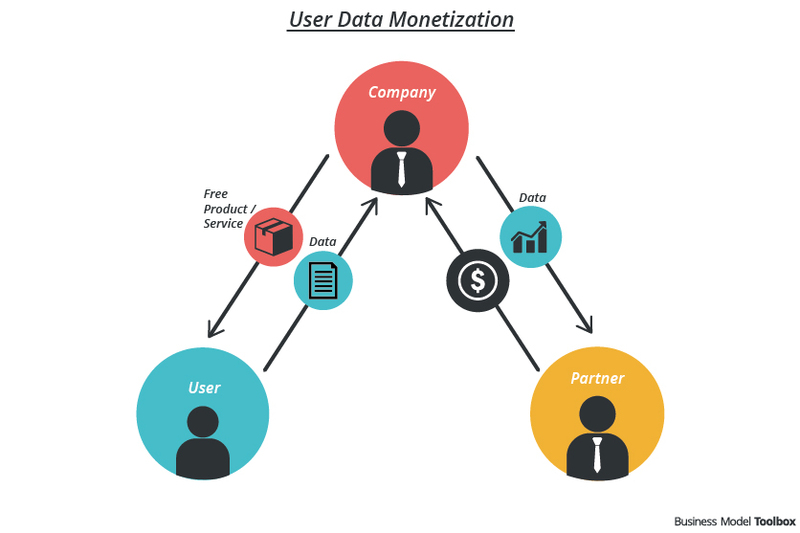 Customer Data Monetization means that the user gets the service (for free) and the company sells the data to a partner. The idea behind the “Data Monetization” pattern is to generate revenue out of available data or real-time streamed data. Examples of data sources are social media, portable devices, products or services accessed by the user and used in financial transactions. These data can be combined with external sources, like geodata, weather and data from objects (Internet of Things). The aim of this pattern is the sale of data. For information on creating additional value out of data, see “Data Leverage” business model pattern (follows soon). When collecting, processing and selling user data, it is important to respect ethical considerations, like data privacy and the sensitivity of data. Identify data from your customer that you are already collecting or that you could collect from now on regarding the digitalization of customer touchpoints. Identify external sources that may enhance the quality and value of your data. Define the value / product / service you want to create by selling the data to a defined target group. Consider the amount, quality and uniqueness of your data. Understand regulatory restrictions related to data acquisition, use and disclosure. Data regulation can be complex and is changing rapidly. Transparent and respectful use of user data. Analyze and sell user data to third parties in order to place personalized advertisements. … and other telecommunication firms sell data on the locations, movements, web browsing habits and other data categories to third parties. Loyalty card for different retail businesses: customer can collect points and redeem them – Payback tracks customer behavior and sells the information back to retail businesses. Respect of data privacy and sensitivity, ethical use of data. Be careful with using, combining, selling and storing personal data from your customer. (what data is sold to whom): information about privacy and security practices should be easily understandable and accessible. 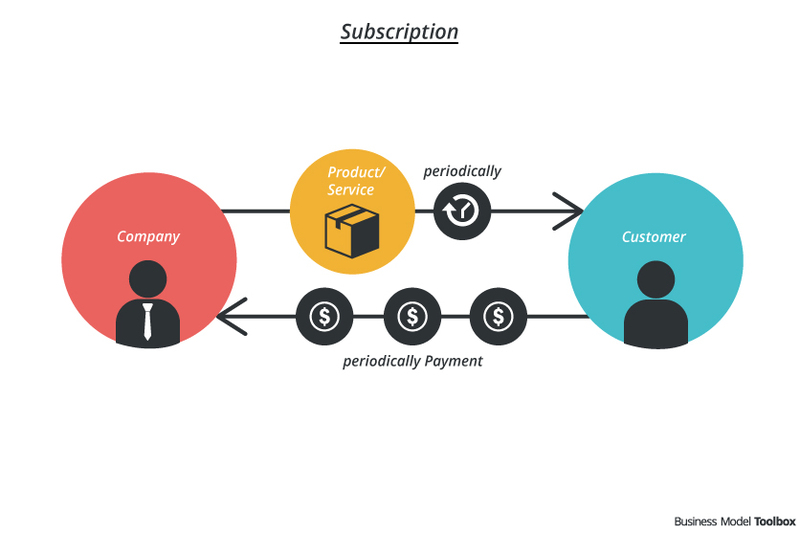 Great summary of this business model pattern! Data has the potential to become a true alternative to financing free offerings through advertising. 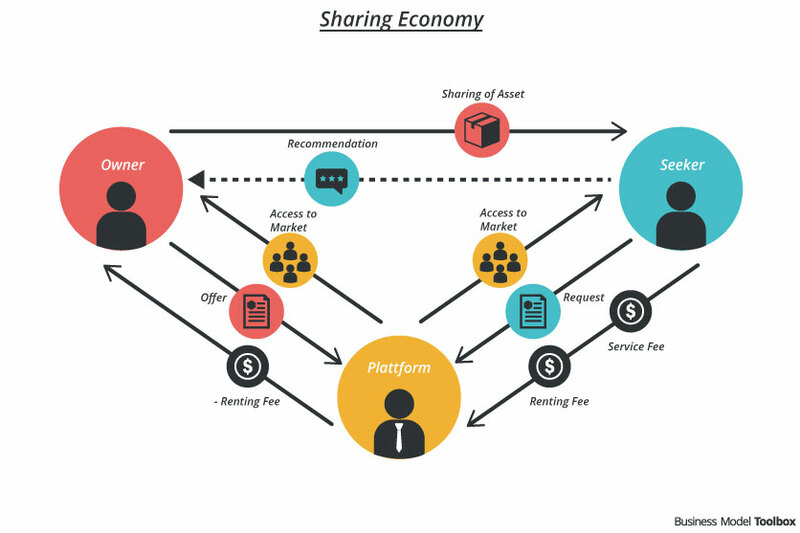 In my opinion trust will become a key resource for companies. The more trust they earn also through transparency, the more data users will be willing to provide. I’m looking forward to further patterns to be described. I need to learn about business models for my master course.